Botanical World Discoveries the niche botanical cruise and tour operator, is offering guests the opportunity to attend this year’s RHS Chelsea Flower Show. 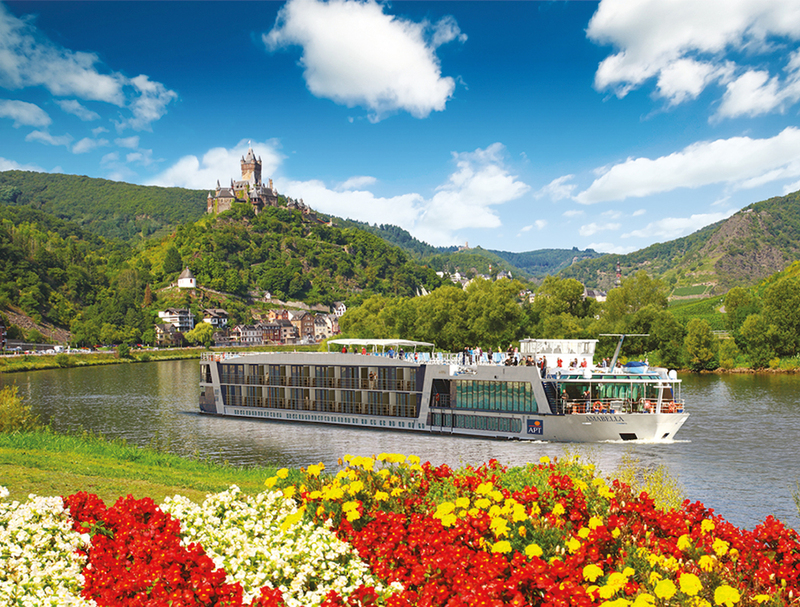 There are five Botanica World Discoveries’ British river cruises, which include a visit to the exhibition. Guests will attend the show and other cultural experiences, which combine iconic and private gardens, global attractions from stately homes and castles and natural landscapes. This four-day tour will take guests to some of Devon’s and Cornwall’s private gardens as well as entrance to RHS Chelsea Flower Show. Highlights include acclaimed author Rosemary Alexander’s dinner lecture on the RHS Chelsea Flower Show and exclusive dinner at Rick Stein’s famous seaside restaurant in Padstow. Prices start from £2,895 per person. Guests will enjoy a nine-day river cruise of the wonderful gardens of Southern England and Wales. Starting with a visit to RHS Chelsea Flower Show, followed by a walk of Sir Winston Churchill’s magnificent Chartwell garden before exploring 32 hectares of Bodnant Gardens in the Welsh Conwy County. Prices start from £3,945 per person. This 12-day cruise, departing from London, will give guests the opportunity to discover the French villages that once inspired the Impressionist painters. Highlights include entrance to RHS Chelsea Flower Show, strolling along the Seine River and an exclusive visit to Monet’s Garden at Giverny. Prices start from £4,995 per person. This four-day tour will take guests to some of London’s and West Sussex’s most breath-taking private gardens as well as entrance to RHS Chelsea Flower Show. Highlights include acclaimed author Rosemary Alexander’s dinner lecture on the RHS Chelsea Flower Show and entrance to Rosemary Alexander’s own private garden Sandhill. For those who’d like to explore London and Eastern Europe this 20-day package, including a seven-night exclusive small ship cruise that will take guests through Italy’s pristine lakes, Romanesque architecture, villas and gardens, as well as the enchanting Dalmatian Coast. Highlights will include entrance to RHS Chelsea Flower Show, a visit to the Borromean islands of Isola Bella and Isola Madre on Italy’s Lake Maggiore, the pristine islands of Croatia and the beautiful fortified town of Kotor in Montenegro. Travellers with Botanica are automatically granted membership to the Botanica Club which gives benefits, discounts and offers to subsequent Botanica adventures. For more information please visit www.botanica.travel or bookings can be made via 0800 046 3377 or info@botanica.travel.